Dr. Love’s patients love Latisse because it is absolutely simple to use and can yield exceptional results when applied nightly. Although results may vary, you will typically start noticing eyelash growth in about four weeks. 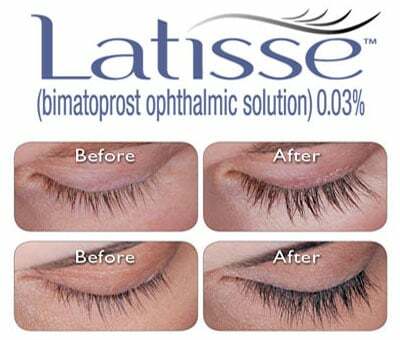 Will Latisse work for me? Individual results may vary. The lashes displayed are unretouched, without mascara. There may be differences in eyelash length, thickness, fullness, pigmentation (darkness), number of eyelash hairs or the direction of eyelashes. Stopping use will result in eyelashes returning to their previous appearance over several weeks to months. This product is eligible for Brilliant Distinction point: Allergan’s brilliant distinction program provides valuable rewards for patients purchasing Botox, Juvederm, Volbella, Vollure, Kybella, Latisse, SkinMedica, and Allergan breast implants.